What actually fell in 476? I wrote the following many moons ago, but was reminded of it whilst reading a recent blog-post on the significance of AD 476. I'm posting it now just for the sake of interest—needless to say, this isn't a topic covered in my main research, nor something that I've looked into much in recent years! 'The Roman Empire fell in 476', or something similar, is a phrase which often finds its way into popular history books, but there are many different interpretations as to what this means. Indeed, in order to fully understand what actually 'fell' in 476, we need to ask both what didn't fall then and what had already fallen before this date. The Western and Eastern Roman Empires after c.AD 395 (source: Wikimedia Commons). First and foremost, it does need to be remembered that a general belief that the Roman Empire fell in 476 can only ever work if one is willing to forget that the empire had been intermittently split into two halves ever since the later third century and that the eastern half—based at Constantinople—continued in existence for nearly another 1000 years up to its final destruction in 1453. 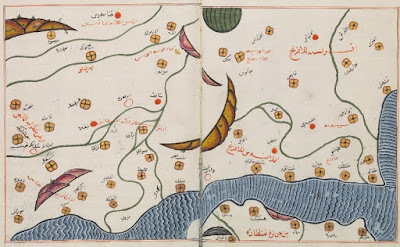 Although this 'Eastern Roman Empire' is known to most modern scholarship as the 'Byzantine Empire', this name was first coined in the mid-sixteenth century: in the medieval period it was usually known as the Imperium Romanorum, 'the Empire of the Romans', or Rhomania, 'the land of the Romans'. Indeed, in the Middle Ages the 'Byzantines' were usually considered by both themselves and outsiders to be quite simply Rhomaioi, 'Romans', living in Rhomania under an emperor whose official title was the Basileus ton Rhomaion, 'Emperor of the Romans'. In consequence, any claim that the Roman Empire as a whole ended in 476 is completely without foundation in face of the continuing imperial presence in Constantinople. An animated gif of the varying extent of the 'Byzantine Empire', AD 476–1400 (source: Wikimedia Commons). Given that a general notion that the Roman Empire ended in 476 cannot be sustained, what of a more specific one referring only to the end of Western Roman Empire? Can it be said that 476 was a key date in the end of a 'Romanised' western Europe and the fall of the Western Empire? Certainly with regards to the former point, the answer is probably no, 476 signified little in terms of the Roman 'character' of western Europe. Italy provides an obvious case study in this context, particularly during the time of Theoderic (AD 493–526). Here, in the ancient core of the Western Roman Empire, there remained strong ties to the Roman past through the later fifth and sixth centuries. Although political power had passed to the Ostrogoths, the administrative and taxation systems continued to be run by Romans in the Roman manner, and Roman judicial arrangements continued for the non-Gothic element of the population. Indeed, Theoderic appears to have adopted a deliberately Roman style of rule, with the resumption of the supply of corn to the masses and programs of reconstruction and rebuilding of public works such as bath-houses. In other words, the Italian state remained essentially Roman in structure and character, with the native population retaining its Roman culture; moreover, the 'barbarian' Goths actually became Romanised themselves over time, adopting Roman customs, language and religion. Something similar appears to be the case with respect to the fifth- and sixth-century Visigothic kingdoms in Gaul and Spain. In Gaul, it has been argued that the Visigoths were settled directly onto the land and simply took over the empire's role in this area along with all of the governmental structures that this implies, with the result that Roman administration and aristocratic life and culture (including schools of higher education) was allowed to continue with free relations to the outside world, as witnessed by Gallo-Roman letter-writers such as Sidonius Apollinaris. In Spain, the Visigothic 'barbarian' successor state was even more 'Roman' in character than that in southern Gaul, due to the fact that, up until the 490s, the Visigoths didn't settle in this region but instead merely administered and garrisoned it. As Roger Collins has observed, the Visigoths effectively took over the role of the Praetorian Prefect and the Master of the Soldiers in Spain, leaving the rest of the society relatively untouched. Such continuity was not, of course, the case throughout the whole Western Empire—other areas, such as northern Gaul and Britain, exhibited far fewer Roman administrative and cultural features from the middle of the fifth century onwards. However, this only reinforces the core point, namely that there is no real evidence that 476 represented an unusually important date from the perspective of Roman-style governance and culture. Put simply, in Britain and northern Gaul the Roman administrative system and culture had already disappeared or declined severely by 476, whilst in Italy and Spain it seems to have continued to be a real force for many years after this date. The question must therefore be, was 476 at least a key date in the fall of the Western Roman Empire as a political unit? The evidence here is a little more promising, as in 476 Italy itself ceased to be 'part' of the Western Roman Empire and instead became a 'barbarian' kingdom under Odovacer. If we are to pursue this line of reasoning, however, we must acknowledge that it was not until 480 that the Western Empire can officially be said to have fallen, as up until this point Julius Nepos continued to live as Western Emperor in Dalmatia—only when this had ceased would the Eastern Emperor would recognise that the Western Roman Empire had truly fallen. Similarly we cannot say that the Roman Empire in the West fell around this date, as the 'barbarian' kingdoms remained, in theory at least, part of the Roman Empire. The creation of 'barbarian' kingdoms was seen as merely the delegation of practical authority in the areas of administration and defence to Imperial appointees—it was not seen as 'giving away' portions of the empire, and the Imperium Romanorum fully expected to be able to take back this delegated authority when it wished to do so (as in the case of the Visigoths, when Aëtius decided to try to do just this). Moreover, though the Western Empire may have ended, from the point of view of the Eastern Roman Empire, this merely meant that the Roman Empire was reunified and that the emperor in Constantinople 'inherited' all the theoretical rights that had belonged to the Western Emperor. The result of this is that, even though the unit known as the 'Western Empire' had ended, the 'successor' states continued to be, in constitutional theory, constituent elements of the Roman Empire. Thus, for example, Odovacer ruled Italy as a theoretical subject of the Eastern Emperor, Zeno (who made him a patrician), and Clovis, the king of the Franks in Gaul, apparently accepted the consulship from Emperor Anastasius in 508. So, the Roman Empire certainly didn't cease to exist in 476, Roman-style governance and culture didn't suddenly disappear, and even the territory of the Western Roman Empire continued to be—theoretically—under imperial jurisdiction. Nonetheless, 476 still has a modicum of legitimacy as a notional end-point, at least for the Western Roman Empire as distinct political unit, as after this date even Italy was no longer under its control. However, even here there are questions, not least whether the Western Roman Empire still existed in any meaningful form up until 476, or if it was just as ephemeral before Odovacer's conquest of Italy as the post-476 claims of imperial authority over the West were. There are really two questions that must be answered in relation to the pre-476 Western Roman Empire. The first of these is, quite simply, how significant was the Western Empire in the years before 476? In the fourth century there seems to be very little evidence for any change in the nature of Roman power, rule or security; the army was still strong and the much-discussed 'barbarian' invasions posed very little problem for them except in times of civil-war. So, for example, the civil wars of 350–53 led to the abandonment of all the frontier forts north of Mainz with result that the Franks and the Alamanni invaded; nonetheless, the continuing strength of the Roman army was such that, once the internal difficulties were resolved, these 'barbarian' invasions were successfully dealt with. Indeed, for the most part the 'barbarian' incursions took the form of small-scale raids rather than invasions, and in 367 and 369 the Empire was able to lead armies in an offensive against the Goths. By the fifth century, however, this situation had changed dramatically. The first indications of a change comes with the entry of the Visigoths into Roman territory in the late 370s, which seems to have taken the form of a full-scale tribal migration and attempt at settlement, rather than a transient raid. In the early fifth century such a situation becomes almost commonplace, with the Roman Empire seeing massive incursions into its territory by invading and migrating groups of 'barbarians', which far surpassed anything that the army had had to deal with previously. As to why this sudden change in the nature of the 'barbarian menace' occurred, Peter Heather has argued persuasively that the answer lies with the Huns. The Roman army seems to have been able to deal effectively with the 'barbarians' previously because they were usually raiders rather than settlers who were not united, attacking piecemeal. As such they presented the Empire with a manageable problem. The threat of the Huns seems, however, to have 'united' the 'barbarians' in a common cause—to get away from the Huns by moving permanently within the borders of the Roman Empire—and this meant that the advantage that the imperial army had previously enjoyed had ceased to exist. The result of this was that the Roman army was overwhelmed and alternative solutions other than the simple application of force had to be used in order to 'solve' these problems. Now the usual policy became one of calming the situation whilst, at the same, time saving face until arrangements could be made to deal with the 'barbarians' from a stronger position. So, in 418 a settlement was reached with the Visigoths that delegated political control of southern Gaul to them as 'political appointees' and then, over the next few decades, the Empire attempted to wrest this delegated control back. This would seem to be a sensible—and the only really viable—policy given the situation, but it suffered from a continuity in Roman obsessions. In the fourth century, the Roman generals and rulers had usually preferred to deal with internal problems and struggles first before dealing with any 'barbarian' troubles, with (for example) the Frankish and Alamannic invasions left unchecked until internal hostilities had been resolved. Unfortunately, this ordering of priorities was retained despite the changed tactical situation. The result of this was that, whilst the Roman generals conducted their internal power struggles, the 'barbarians' secured their hold on the territories they had taken control of, including the economically vital province of Africa, which passed into the hands of the Vandals in the 430s. As a direct consequence of this situation, the Empire suffered a major decline in revenues, which meant that it was increasingly unable to support its army and was, therefore, increasingly incapable of retaking its 'delegated' territories as it intended to—indeed, by the 450s there seems to have been no military force available to even protect Italy from the invading Huns. The above description makes the nature of pre-476 rule appear to be much like that after 476, particularly from the 440s onwards when the aftershock of the loss of Africa starts really to be felt. This is not, of course, entirely true, as Rome and its empire still seem to have been important in and of itself to the 'barbarians' in this period, whilst after 476 it could be argued that the 'barbarians' found it merely convenient to subscribe to the myth of continuing Roman rule in the West as a way of legitimising their own rule. What we see is perhaps better characterised as a gradual decline throughout the fifth century from direct imperial control to increasing 'delegation' and eventual insignificance. Up to the 450s Rome still seems to have been respected and the focus of provincial loyalties, but its impotence in the face of the Huns led to attitudes slowly changing. After Aëtius's death, the Visigoths felt bold enough to sponsor their own Emperor (Avitus) and there is evidence of increasing numbers of Gallo-Romans switching allegiance away from Rome towards the Visigoths, who were obviously seen as being politically more significant than the Western Roman Empire in mid-fifth-century Gaul. By the 470s, it was deemed more advantageous for Ricimer's nephew and successor to compete for the control of the 'barbarian' Burgundian kingdom than to stay and support the puppet emperor Glycerius that he himself had set up, and in 475 Euric the Visigoth ignores the remnants of the Empire in favour of conquering Spain and Gaul. The polity that 'fell' in 476 thus cannot really be said to be any more than a pale shadow of what the Western Roman Empire had been. It was no longer a military power and it was of little importance beyond the use of its titles in legitimizing 'barbarian' rule—the Western Roman Empire's rule had become an anachronism and can probably be said to have been over for some time before Odovacer took control of Italy. Secondly, we must ask what was the nature of the Western Roman Empire itself? This is partly answered by the above—it was an anachronism that seems to have been, in reality, dead for sometime—but we ought also to recall that part of the fundamental character of the Roman Empire was that it was ruled by an emperor who controlled the military forces and therefore the means of power. Indeed, many Roman emperors, including Constantine the Great, gained their position by rebelling against an existing emperor with the backing of a large number of troops, who then elevated them to the imperial throne. In the Western Roman Empire, however, there seems to have been an alteration to this basic definition of power within the state from the late fourth century onwards, with power devolving to the generals without the need for them to become emperor. 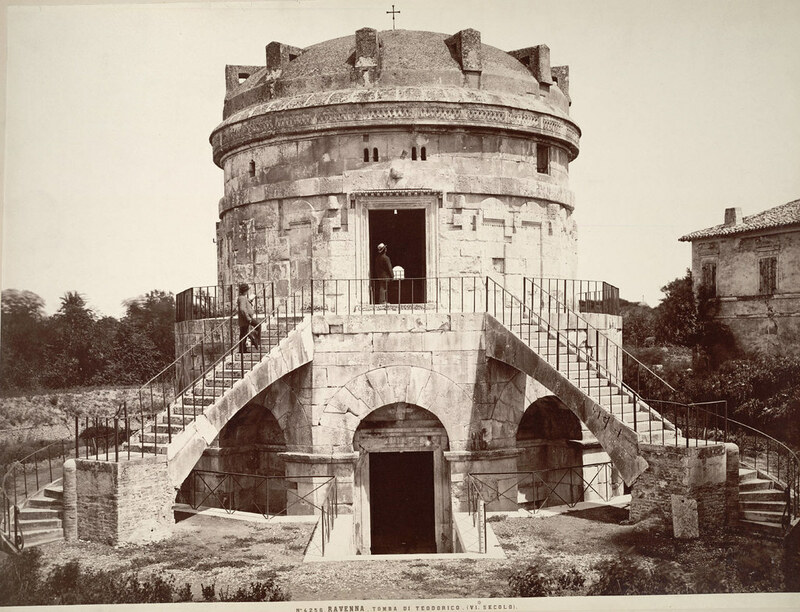 This process started with the reform of the army by Diocletian, who gave the command of frontier armies increasingly to professional soldiers instead of civilian provincial governors. This reform was then carried further by Constantine and his successors, who created a new, mobile army that wasn't linked to the frontiers and the high command of which was reorganised, with the civilian Praetorian Prefect's military authority being transferred to a Master of Cavalry (Magister equitum) and a Master of Infantry (Magister peditum). This did produce a more efficient army, but it also gave far more power to the generals too. In the Eastern Roman Empire this was less of a problem, as it was the seat of the 'senior' Emperor, who kept direct control of his forces. The Western Empire, however, was a different matter, as it was the seat of the 'junior' Emperor who was usually young, weak or weakened so as to prevent challenges to the Eastern Emperor's authority. 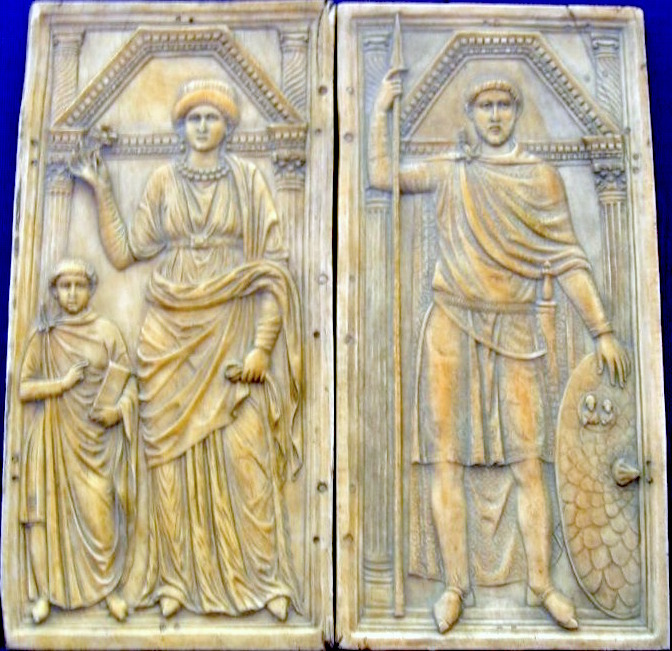 Hence, for example, Valentinian II acted as a puppet for Emperor Theodosius, who separated the imperial person in the West from his military forces by giving control of the field army to General Arbogast. Needless to say, this was a very significant event. From this point, the Western Empire saw a series of 'military dictators' who held the real power, most notably Stilicho in the late fourth and early fifth centuries and Aëtius and Ricimer in the early to mid-fifth century. Indeed, the fact that these generals saw their position as preferable to that of the actual Western Emperor becomes increasingly obvious over this period. Arbogast, after the death of Valentinian II, raised Eugenius to the imperial rank in the West rather than himself; Stilicho was happy to remain as commander of the field armies rather than to depose the young Emperor Honorius; and from the 450s puppet emperors, set up by the generals, become very common indeed. In other words, in the Western Empire, men who would have in previous generations sought to make themselves emperor were now more often than not satisfied to remain generals in control of the military, rather than become the head of state. The inference to be taken from the above is, of course, that the rank of Roman emperor was no longer desirable in the West for most potential candidates, and that it was increasingly associated with weakness and puppet government. Power in the Western Empire rested rather with the man who controlled the armed forces, the Master of the Soldiers. Indeed, by the time we reach the 470s it becomes clear that these 'military dictators' no longer even feel a debt of loyalty to their puppet head of states. Gundobad, for example, was a Master of the Soldiers who installed the Emperor Glycerius on the throne, but in 473 he abandoned the Western Empire in order to compete for the control of the Burgundian kingdom. Not only was the de facto ruler of the Western Empire not the emperor, but the 'Master of the Soldiers' was only interested in his own power by this point—when the Western Empire became effectively irrelevant in contemporary politics, it was simply abandoned in favour of more advantageous posts. In light of the above, we are in a position to answer the question of 'What actually fell in 476?'. 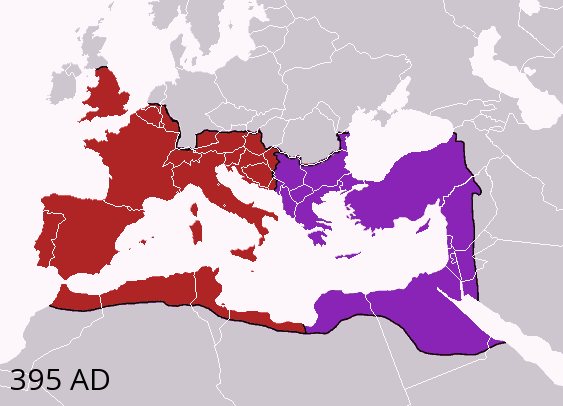 It was not the basic governmental and cultural features of the Roman Empire in the West, which in some areas had disappeared long before and in others would survive for several generations; it was not the Imperium Romanorum itself, which continued to be based at Constantinople for nearly another 1000 years; and it was not the legal theory of Roman authority over the West, which seems to have been maintained by both the emperors in Constantinople and the 'barbarian' rulers of western Europe. What 'fell' in 476 was merely the political structure known as the Western Roman Empire, and even this had arguably 'fallen' many years previously. The Western Empire of 476 bore little resemblance to the polity that bore this name in the fourth century—it had very little power and virtually no influence; it was restricted to a few core areas; and its de facto ruler was the 'Master of the Soldiers', not the Western Roman Emperor. In other words, all that seems to have actually ended in 476 was the fiction that the Western Roman Empire still existed in any meaningful form whatsoever. A previous post on this site looked at Teversham in Cambridgeshire (Teuresham in 1086), which is best interpreted as an early Anglo-Saxon place-name meaning 'the estate of the sorcerer', 'sorcerer' probably being the original sense of Old English *tēafrere/*tīefrere. Needless to say, such an origin is rather intriguing. 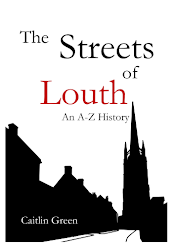 Teversham does not, however, stand alone, and the following note is intended to examine the meaning and possible literary influence of another place-name that is believed to derive from the same first element as Teversham. The location of Teversal, shown against a map of modern Nottinghamshire. Image drawn by C. R. Green, using a Creative Commons map from Wikimedia, contains Ordnance Survey data © Crown copyright and database right 2010; an approximate depiction of the extent of the medieval Sherwood Forest is also included, based on its extent in 1600 and the recorded medieval boundaries. 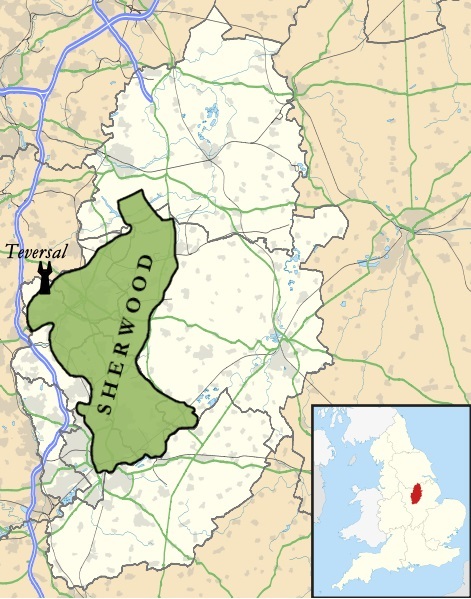 The place in question is Teversal, which is a village near to Mansfield (Nottinghamshire) that lay on the western edge of the medieval Sherwood Forest. 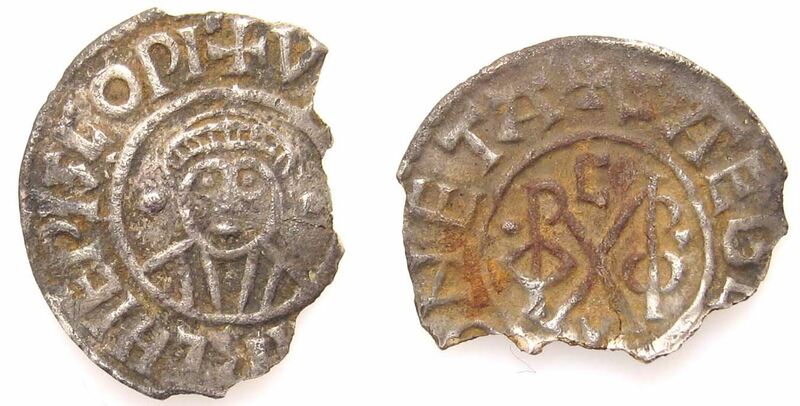 Early forms of the name include Tevreshalt and Tevershald (1086), which seem to reflect the same first element as Teversham plus a different second element. (1) In the case of Teversham, the second element is Old English hām, 'estate or homestead', whereas in Teversal it appears to be Old English (ge)heald, Anglian hald, 'protection', probably here having the concrete sense of a 'stronghold' or 'refuge'. (2) As such, one credible interpretation of the name Teversal is that it originally meant 'the sorcerer's stronghold' and/or 'refuge'! If we thus have potential place-name evidence for an Anglo-Saxon 'sorcerer's stronghold' (and/or 'refuge') that was located on what was the western edge of one of the great forests of medieval legend, Sherwood, what else can we say about this? Whilst we cannot now know what real-life context lay behind the coining of such a name, I have to say that I find it a little difficult not to think of J. R. R. Tolkien's Dol Guldur when considering the above etymology for Teversal! For example, just as Teversal can be read as 'the sorcerer's stronghold', so too is Dol Guldur described in The Hobbit, The Lord of the Rings and Unfinished Tales as a 'dark tower' of a 'black sorcerer', the 'dark hold' of 'the Necromancer', 'the stronghold of the Enemy in the North', and 'the first stronghold of Sauron'. In other words, 'the sorcerer's stronghold' is a description that would fit Dol Guldur very well, and Tolkien does, in fact, use the relatively rare and archaic Modern English form of Old English (ge)heald, Anglian hald, to refer to this fortress in The Hobbit when he calls Dol Guldur a 'dark hold'! (5) Similarly, both Teversal and Dol Guldur are located on or near to the western edge of great legendary forests, Sherwood in the case of Teversal, Mirkwood in the case of Dol Guldur, with the name of the latter reflecting, for Tolkien, Old English mirce, 'darkness, mirk', a word that is identical in form to Old English Mirce, 'the Mercians', within whose kingdom Sherwood Forest was once located. (6) And, finally, just as Teversal might be read as either 'the sorcerer's stronghold' or 'the sorcerer's refuge', so too is it clear that Dol Guldur was both a stronghold and a place of refuge for its master. It was to here, after all, that the 'dark sorcerer'—Sauron, the Necromancer—retreated and where he lay hidden for many years, in order that he might regain his 'shape and power' in secrecy after his defeat by the Last Alliance at the end of the Second Age (e.g. Lord of the Rings, Book 2, chapter II). 1 E. Ekwall, The Concise Oxford Dictionary of English Place-Names, 4th edn (Oxford, 1960), p. 464; V. Watts, The Cambridge Dictionary of English Place-Names (Cambridge, 2004), p. 605. 2 E. Ekwall, Studies in English Place-Names (Stockholm, 1936), pp. 54–5; Ekwall, Oxford Dictionary, p. 464; A. H. Smith, English Place-Name Elements (Cambridge, 1956), vol. 1, p. 222. 3 On the development of the first element in the names Teversham and Teversal, see the previous post on Teversham and Watts, Cambridge Dictionary, p. 604. On the dating of hām names, see, for example, B. Cox, 'The significance of the distribution of English place-names in -hām in the Midlands and East Anglia', Journal of the English Place-Name Society, 5 (1972–3), 15–73, and J. Insley, 'Siedlungsnamen §2. Englische', Reallexikon der Germanischen Altertumskunde, 28 (2005), 344–53, especially pp. 346–7. 4 Ekwall, Studies, p. 55; Ekwall, Oxford Dictionary, p. 464; A. D. Mills, A Dictionary of English Place-Names (Oxford, 1991), p. 323; Watts, Cambridge Dictionary, p. 605. 5 W. G. Hammond & C. Scull, The Lord of the Rings: A Reader's Companion (London, 2005), pp. 237, 310—see J. R. R. Tolkien, The Hobbit (London, 1937), chapters 1 and 19; J. R. R. Tolkien, The Fellowship of the Ring (London, 1954), Book 2, chapter ii; J. R. R. Tolkien, Unfinished Tales (London, 1980), p. 280, n. 12. On 'hold' and Old English (ge)heald/Anglian hald, see Oxford English Dictionary, 'hold, n.1'. 6 See the map of Mirkwood included in The Lord of the Rings. On Tolkien's Mirkwood and its roots, see P. Gilliver et al (eds. ), The Ring of Words: Tolkien and the Oxford English Dictionary (Oxford, 2006), p. 165; Hammond & Scull, Reader's Companion, pp. 12–13; J. Evans, 'Mirkwood', in M. D. C. Drout (ed. ), J.R.R. Tolkien Encyclopedia: Scholarship and Critical Assessment (New York, 2007), pp. 429–30; T. Shippey, 'Tolkien, medievalism, and the philological tradition', in I. Moskowich-Spiegel & B. Crespo-García (eds. ), Bells Chiming from the Past: Cultural and Linguistic Studies on Early English (Amsterdam & New York, 2007), pp. 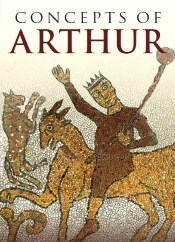 265–79 at p. 277; and J. R. R. Tolkien, The Legend of Sigurd and Gudrún (London, 2009), pp. 227–8. See also J. Bosworth, An Anglo-Saxon Dictionary, ed. T. N. Toller (Oxford, 1898), p. 689. 7 C. Duriez, 'Neave, Jane', in M. D. C. Drout (ed. ), J.R.R. Tolkien Encyclopedia: Scholarship and Critical Assessment (New York, 2007), p. 455; on Tolkien as a philologist and Anglo-Saxonist, see for example Gilliver et al, Ring of Words, and T. Shippey, The Road to Middle-Earth, 2nd edn (London, 1992). 8 On Tolkien and Ekwall, see for example Tolkien's reviews of some of Ekwall's key works in the 1920s and his role as a signatory to the introductory note included in the 1942 Festschrift in honour of Ekwall's sixty-fifth birthday: S. B. Liljegren & J. Melander (eds. ), A Philological Miscellany Presented to Eilert Ekwall (Uppsala, 1942). The etymology for Teversal discussed here was published in Ekwall's 1936 Studies in English Place-Names, pp. 54–5, and also presumably in the 1936 first edition of Ekwall's Oxford Dictionary (it appears on p. 464 of my fourth edition, published in 1960). Note, whilst Tolkien's Guldur, 'sorcery, dark sorcery' (Hammond & Scull, Reader's Companion, p. 237) does not resemble Old English tēafor/*tēafrere, 'sorcery/sorcerer', in form, it does resemble another Old English word that relates to magic and magical practices, galdor, 'an incantation' (cf. Old Norse galdr): Bosworth & Toller, Anglo-Saxon Dictionary, p. 359. The following post offers both a draft map of the landscape of the Lincolnshire Marshes in the early Anglo-Saxon and Middle Saxon periods and a brief discussion of finds of this period that have been made at Stain Hill, Withern, a site that lies in the heart of the Lincolnshire Outmarsh. The Lincolnshire Marshes in the pre-Viking period (drawn by C. R. Green, contains British Geological Survey materials © NERC 2014). 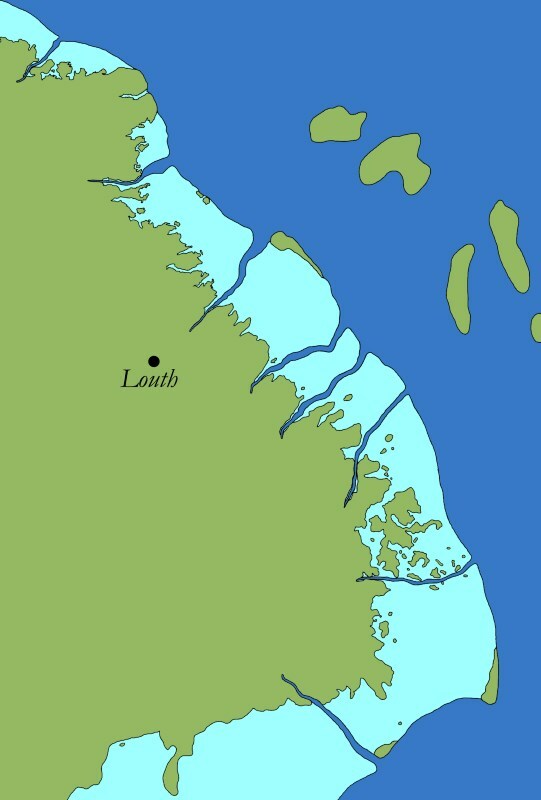 Louth is marked on the map to aid with location. Light blue represents freshwater wetlands and saltmarsh, whilst dark blue is used for the sea and main creeks/rivers in this region. Key sources of information used in its creation include the British Geological Survey's maps of this region; D. N. Robinson's map of Lincolnshire's 'Saxon Shoreline' from The Book of the Lincolnshire Seaside (Buckingham, 1981); H. Fenwick, The Lincolnshire Marsh: Landscape Evolution, Settlement Development and the Salt Industry (PhD Thesis, University of Hull, 2007); N. G. Berridge and J. Pattison, Geology of the Country Around Grimsby and Patrington (London, 1994); and the 1628 (Mercator) and 1645 (Blaeu) maps of Lincolnshire. Looking at the above map, several features deserve comment, not least the extensive wetlands that are depicted on the east coast of Lincolnshire and south of the Wolds. That there was a significant late/post-Roman marine transgression in Lincolnshire, which is usually dated to the fourth–sixth centuries AD, is now well-established—indeed, Romano-British sites on Lincolnshire Marshes appear to have been buried under several metres of marine alluvium at this time, with a Romano-British site at Scupholme, to the east of Louth, found beneath more than three metres of alluvium deposited by the sea and Romano-British salterns at Ingoldmells smothered by two to three metres of silt. 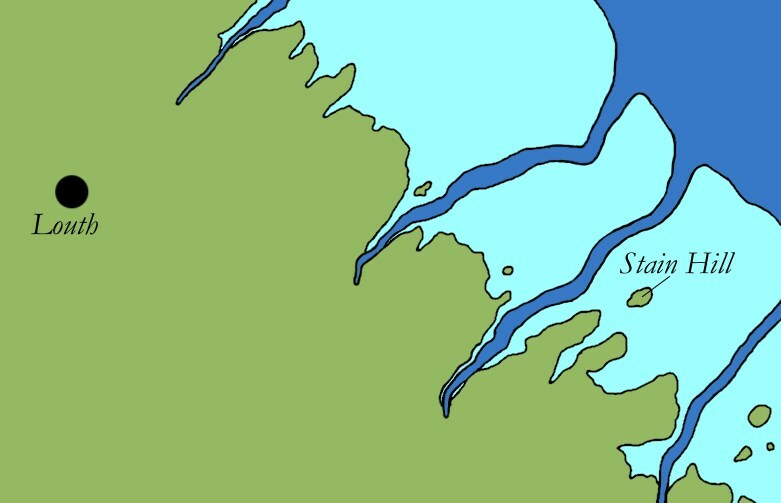 The modern Outmarsh surface (the light blue area between Grimsby and Skegness) is believed to have its origins in these late/post-Roman deposits and the whole area was probably still largely wetland—primarily saltmarsh, although with peat to the south of the Wolds, see figure below—throughout much of the pre-Viking period, a situation depicted on the above map. The maximum extent of the late/post-Roman marine transgression; click image for a larger version. Wetlands to the south and east of this line were probably saltmarsh throughout the pre-Viking period; those to the north and west of it were probably freshwater. 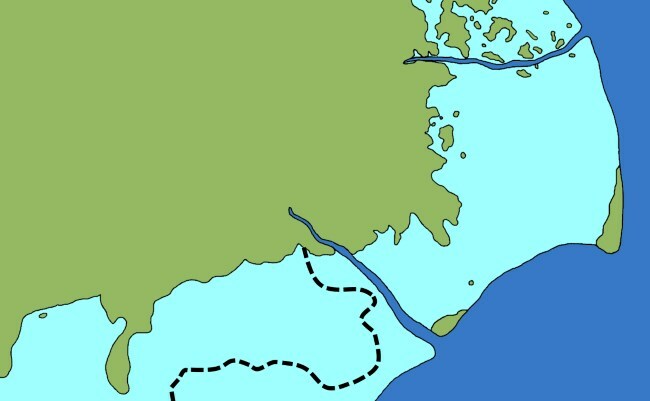 Drawn by C. R. Green, as above; boundary of the maximum marine transgression after D. S. Brew et al, 'Holocene sedimentary evolution and palaeocoastlines of the Fenland embayment, eastern England', in I. Shennan et al (eds), Holocene land-ocean interaction and environmental change around the North Sea (London, 2000), pp. 253–73 at p. 270 (fig. 27). Note, I. G. Simmons, 'Creating dry land in S.E. 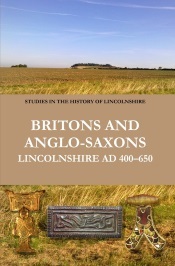 Lindsey (Lincolnshire, England) before AD 1550', Water History, 6 (2014), 211–25 at pp. 211–12, suggests that the marine transgression reached up to c. 6.7m OD, a height that would have led to a much more extensive marine incursion than that depicted here. However, this level seems implausibly high given what we know of Holocene sea-level rise and, on checking the referenced works, the evidence for it is weak; as such, it is rejected here. Also worthy of note are the 'islands' visible within both the coastal wetlands of the Outmarsh and the sea. These 'islands' have several different explanations. Those located in the sea were offshore coastal barrier islands that protected the coast of Lincolnshire until their probable destruction by the sea in the thirteenth century. Those depicted as lying at the edge of the coastal wetlands are raised sand ridges and ancient storm beaches that appear to have been above the maximum height of the late/post-Roman marine transgression. For example, a detailed study of the northern part of the Outmarsh suggests that there were two persistent sand bodies here from prehistory onwards: the southern sand body (in the North Somercotes–Saltfleet area) largely rose above the maximum height of the sea during the post-Roman period, whilst the northern instance was mostly buried by alluvium deposited during the late/post-Roman marine transgression, with the possible exception of some areas of it that lay to the east of Marshchapel. Also shown is a probable sand ridge in the Skegness area, following David Robinson, not least because there now seems to be reasonable evidence for a Roman site of some significance at Skegness or just offshore from it that was probably the origin of Old Skegness, a 'towne waullid having also a castelle' that was destroyed by the sea around 500 years ago. Finally, those islands that are shown as lying within the Outmarsh were true islands of dry land within the Anglo-Saxon coastal wetlands, being exposed glacial deposits that stood above the surrounding saltmarshes. Several of these islands have evidence indicative of Anglo-Saxon period activity, including an early Anglo-Saxon to Middle Saxon settlement and Middle Saxon to Late Saxon cemetery excavated in the 1990s at Cumberworth. 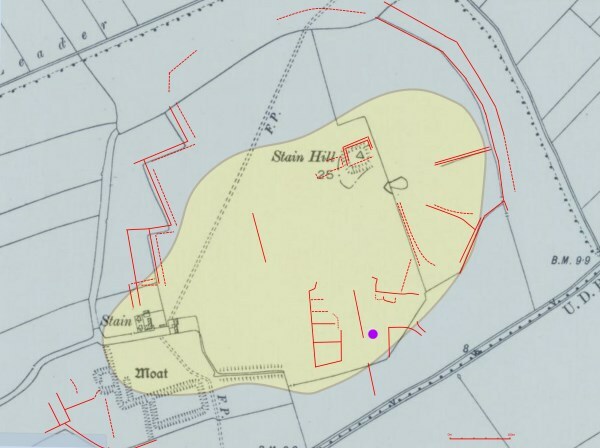 However, perhaps the most interesting example is an unexcavated site located a little further north in the Outmarsh, at Stain Hill in Withern with Stain parish, the site of the Deserted Medieval Village of Stain. The location of Stain Hill in the Anglo-Saxon Outmarsh (drawn by C. R. Green, as above). This island of glacial till and gravel rises from the surrounding marine alluvium to reach a maximum height of 9m OD and has been the site of a number of interesting finds. The earliest material known from here consists of prehistoric worked flints, but the interest for us starts in the Romano-British era with a total of 53 late fourth-century Roman coins (Gratian to Valentinian II, 367–92) found at Stain Hill as an artefact scatter (rather than a hoard). Within the local context, this is a very significant quantity. A survey of 314 km² of Lincolnshire Wolds and Marsh around Louth revealed that most recorded Roman coin concentrations in this part of Lincolnshire rarely broke into double figures, with just three sites reporting more than 12 coins and only a single site having more than 40, the latter being the important probable villa and estate centre at Welton le Wold (the topic of a future post on this blog). 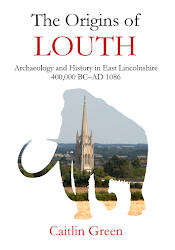 Such a conclusion is supported by Helen Fenwick's survey of Roman finds from the Outmarsh recorded in the Lincolnshire Historic Environment Record and an examination of the Portable Antiquities Scheme data for the Outmarsh. In both cases, the Stain Hill material stands out as amongst the most significant finds of non-hoarded Roman coins known from the entire Outmarsh, with most coin concentrations again only very rarely entering into double figures. In light of the above, the 53 coins from Stain Hill appear extremely interesting and could well be indicative of the presence of a significant late fourth-century Romano-British site at Stain Hill. Indeed, in this context the name 'Stain' may also be relevant, as Arthur Owen has suggested that place-names involving Old English stān or Scandinavian steinn, 'stone', were given to places where there were once obvious Roman remains, such as standing structures or stone building debris. 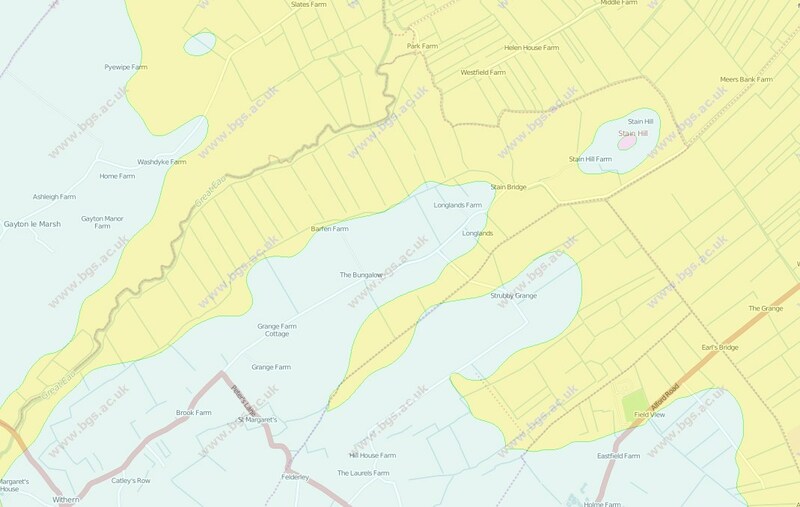 The geology of Stain Hill and the surrounding area, set against a present-day streetmap; click image to view a larger version. Yellow represents marine alluvium; green Devensian glacial till, and purple Devensian glaciofluvial deposits. Image taken from the BGS Geology of Britain Viewer, licensed under an Open Government Licence 2.0: contains British Geological Survey materials © NERC 2014. A detailed image of Stain Hill, showing the island of glacial till surrounded by marine alluvium (from the previous image) set against the 1905 OS map of Stain Hill. Also depicted are cropmarks that seem to be visible on the Google Maps aerial photograph of the area (in red) and an indication of the approximate area that the 53 Late Roman coins were found (purple, reflecting the general 6 figure grid-reference recorded for these on the HER). Some of the cropmarks clearly reflect pre-modern field boundaries, visible on the 1905 map but since removed; others do not, however. A proportion of the latter relate to the medieval moated site in the bottom left of the image, whilst those in the area where the Roman coins were found might bear comparison with Roman-era settlement cropmarks from elsewhere in eastern Lincolnshire, see D. Jones, 'Romano-British Settlements on the Lincolnshire Wolds', in R. H. Bewley (ed. ), Lincolnshire's Archaeology from the Air (Lincoln, 1998), pp. 69–80 (my thanks to Adam Daubney for discussing these cropmarks with me). Moving into the post-Roman period, Stain Hill appears equally interesting. In 1988, the metal detectorist who found the Roman coins also reported a significant quantity of Anglo-Saxon material to the Lincolnshire Historic Environment Record that had been found at Stain Hill, including 17 'Saxon' pin heads and 2 strap-ends. Although no additional reports were received by the Lincolnshire HER, further finds were reported by the same detectorist to Scunthorpe Museum,(1) so that the final record of pre-Viking finds made from the site—which must represent a minimum assemblage, as the site was apparently once regularly detected by multiple people—include 2 early Anglo-Saxon artefacts, 22 Middle Saxon pins, 6 Middle Saxon strap-ends, and 7 Middle Saxon coins (consisting of 3 sceattas, 3 Mercian pennies and an early ninth-century coin of Wulfred, Archbishop of Canterbury; the sceat recorded by Mark Blackburn as having been found 'near Mablethorpe' may well have come from this site too). There were also apparently finds of a Anglo-Scandinavian Ringerike-style stirrup mount and a Late Saxon penny. Once again, this is a very notable concentration of material, and one that encompasses the early Anglo-Saxon, Middle Saxon and Late Saxon/Anglo-Scandinavian periods. And, as before, a consideration of the HER and PAS data suggests that the Stain Hill finds are conspicuous within their local landscape context, being both the largest concentration of pre-Viking metal-detected material known from within the Outmarsh and indicative of activity that continued here over a number of centuries. Quite what this activity was is open to debate, however. It could be that there was an occasional trading or market site here, although as there appears to have been a very significant site of this type or similar only a handful of miles away on the edge of Middle Marsh, this may not be the most plausible solution. Alternatively, and perhaps more credibly, these items might indicate the presence of some sort of significant settlement or potential local estate centre which exploited the surrounding saltmarsh and coastal resources of the pre-Viking Outmarsh. In this context, it is worth noting that just over 3 miles to the south-west of Stain Hill is the modern parish of Sutton on Sea, Sudtone in 1086. This is an Old English place-name that means 'the south farm or village' and it is of a type that is usually believed to imply that the farm or settlement in question was a subordinate part of a complex pre-Viking estate and that it was located to the south of a more important settlement (the estate centre). Needless to say, given the character of the likely pre-Viking landscape in this area; the location of Stain Hill in relation to Sutton on Sea; the nature of the other place-names that lie to the north of Sutton (all ‑thorp names, indicating that they were, in the Anglo-Scandinavian era, secondary settlements and outlying farmsteads); and, of course, the available archaeological evidence, Stain Hill must represent a good candidate for the estate centre/settlement that Sutton was named in relation to and was a subordinate part of the estate of. Needless to say, if the material found at the Deserted Medieval Village of Stain may thus reflect Stain having been originally some sort of pre-Viking local estate centre, located on an Outmarsh island surrounded by valuable wetland resources, then it has to be wondered whether or not this settlement and its potential local centrality might represent some sort of continuity with the Late Roman past? After all, the Roman finds we have from Stain do suggest that there was a locally important Late Roman settlement here and, as was noted above, it is possible that the name 'Stain' was given in reference to still-obvious Romano-British buildings/materials at this site. Whilst such questions are difficult to answer definitively, the evidence we have certainly appears suggestive in this regard. Indeed, not only has the site produced finds from the Late Roman, early Anglo-Saxon, Middle Saxon and Late Saxon/Anglo-Scandinavian periods, and looks to have been locally significant in both the Late Roman and the pre-Viking eras, but it is also worth noting that such a degree of continuity would be more than plausible within the wider context of post-Roman activity and continuity in Lincolnshire. 1 My thanks are due here to Dr Kevin Leahy, formerly of Scunthorpe Museum and now of the Portable Antiquities Scheme, and Mike Hemblade, of the North Lincolnshire Historic Environment Record, for providing me with details of these finds.